The last few weeks have been insane here at TechCrunch as we put the finishing touches on our next Disrupt conference, which begins September 27 in San Francisco. We’ve gone through more than 500 applicants to select the best two dozen to launch in our Startup Battlefield. Only one of them will win the coveted Disrupt Cup. The main event will be preceded by an awesome Hacakthon (sign up here). And we’ve put together an amazing agenda of contrarian thinkers, risk-taking founders, and executives from across the tech landscape to discuss their strategies for market disruption, as well as how to avoid being disrupted once you make it to the top. You can buy tickets here. The early bird rate is still good through Monday. Among our speakers will be plenty of super angel investors and super VCs. 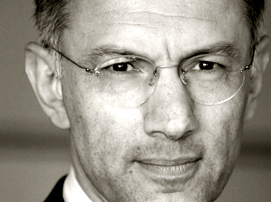 In the latter category, we are lucky to have Michael Moritz of Sequoia Capital joining us. Moritz is one of the most successful venture capitalists on the planet. Some of his investments include Google, PayPal, Zappos, A123Systems, Kayak, and Pure Digital technologies (maker of the Flip video cameras). Each one is a study in disruption, which Moritz has witnessed firsthand from board seats at each one. One of his current investments is Green Dot, which went public in June and now has a $2 billion market cap. Green Dot serves the unbanked and underbanked through prepaid debit cards that can be loaded with cash. More than 10 million people have Green Dot accounts. CEO Steve Streit will also be on hand to discuss his approach to disrupting the stodgy financial services industry and how Moritz helped him do it. There has been a lot of talk lately about the venture capital industry itself being disrupted by a new class of super angel investors. 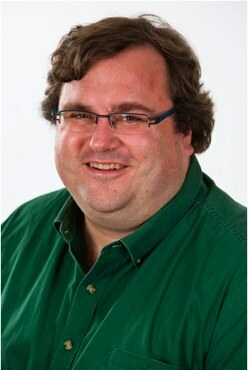 We’ll have plenty of those at Disrupt as well, including superangel-turned-VC Reid Hoffman. In addition to being the founder of LinkedIn and an early PayPal executive, Hoffman was one of the more active angel investors of the past decade before joining Greylock as a full-time VC last November. (His personal portfolio includes Facebook, Zynga, Flickr, Digg, Powerset, and One King’s Lane). Hoffman has been on both sides of the super angel/VC divide and can speak to the changing requirements of venture capital. But one thing both he and Moritz know well is how to spot companies and founders with the potential to overturn the existing order. Come join us at Disrupt to find out what they have to say about that and how the rules of venture capital are changing. We’ll be announcing more speakers and the full agenda throughout the week.